Syngenta invests more than $3.5 million a day in research and development to ensure product performance is never compromised. Furthermore, you have access to a robust team of agronomic experts, including 32 territory and district managers, as well as four field technical representatives. In each Assurance Program, Syngenta provides agronomic and product rate recommendations to support success. Assurance programs for lawn care offered by Syngenta include the Barricade® brand herbicide, Advion® fire ant bait and tropical sod webworm assurance programs. Click on each link below to view the specifics of each program. 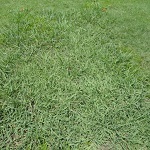 Barricade® herbicide - Count on Barricade to put you in control of crabgrass and other problem weeds. Barricade also features a stain-free formulation, meaning it will not stain shoes, fences or other landscape features. Its low water solubility means you can count on Barricade to stay right where it’s applied. To meet your specific application needs, Barricade is available in three formulations – Barricade 65WG, Barricade 4FL and Barricade On-Fertilizer. Advion fire ant bait - With only one application, Advion fire ant bait provides control of foraging worker ants within 12 to 48 hours and total colony control within 72 hours, including the queen. After two applications, year-long colony control can be achieved. No other fire ant bait on the market compares to Advion in speed of control. 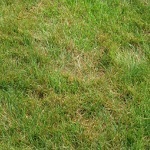 Tropical sod webworm - Protect St. Augustinegrass and zoysiagrass lawns from tropical sod webworm this season with a preventive application of Acelepryn® insecticide. We know you have options when selecting lawn care products. Rest easy knowing that Syngenta designed these Assurance Programs to give you confidence and peace of mind with applications of Barricade, Advion fire ant bait and Acelepryn. Visit GreenTrust® 365 to learn more about Assurance Programs and how you can start saving today by participating in the GreenTrust 365 Program. ©2018 Syngenta. Important: Always read and follow label instructions. Some products may not be registered for sale or use in all states or counties and/or may have state-specific use requirements. Please check with your local extension service to ensure registration and proper use. Acelepryn®, ​​​​​​​Advion®, Barricade®, GreenTrust® and the Syngenta logo are trademarks of a Syngenta Group Company.